Nigerian President Muhammadu Buhari has promised to “re-engineer” the Niger Delta amnesty programme for former militants. The programme was designed to stem attacks that have slashed oil exports but set to be scrapped. The announcement, made in a televised speech marking his first year in office, is an apparent reversal from earlier this year when his government pledged to end the scheme by 2018. “On the Niger Delta, we are committed to implementing the United Nations Environment Programme report and are advancing clean-up operations. I believe the way forward is to take a sustainable approach to address the issues that affect the delta communities. Re-engineering the amnesty programmes is an example of this. The recent spate of attacks by militants disrupting oil and power installations will not distract us from engaging leaders in the region in addressing Niger Delta problems. If the militants and vandals are testing our resolve, they are much mistaken. 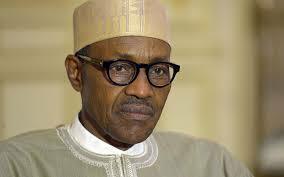 We shall apprehend the perpetrators and their sponsors and bring them to justice,” said Buhari. “The policy measures and actions taken so far are not to be seen as some experiment in governance. We are fully aware that those vested interests who have held Nigeria back for so long will not give up without a fight. They will sow divisions, sponsor vile press criticisms at home and abroad, incite the public in an effort to create chaos rather than relinquish the vice-like grip they have held on Nigeria.” The costly programme introduced in 2009 after years of violence by militants pays monthly stipends to 30,000 former militants as well as offering them training opportunities. A wave of recent attacks on Nigeria’s oil infrastructure has seen the country’s oil output drop to the lowest level in two decades, putting pressure on the Nigerian government to restore peace in the southern swamplands.